Today in this post I will tell you how you can lock your computer screen. When you have kids in home and they want to watch some cartoons in your computer and you have to go for lunch. You can’t leave your computer in kids hand like this and even can’t lock your computer using + L (shortcut key) as because you want them to watch cartoons in your computer. So you can use ClearLock, which lock your computer screen by adding a transparent layer. Allow you to see what happening on your computer screen and at the same tie by preventing anyone to access on your computer. 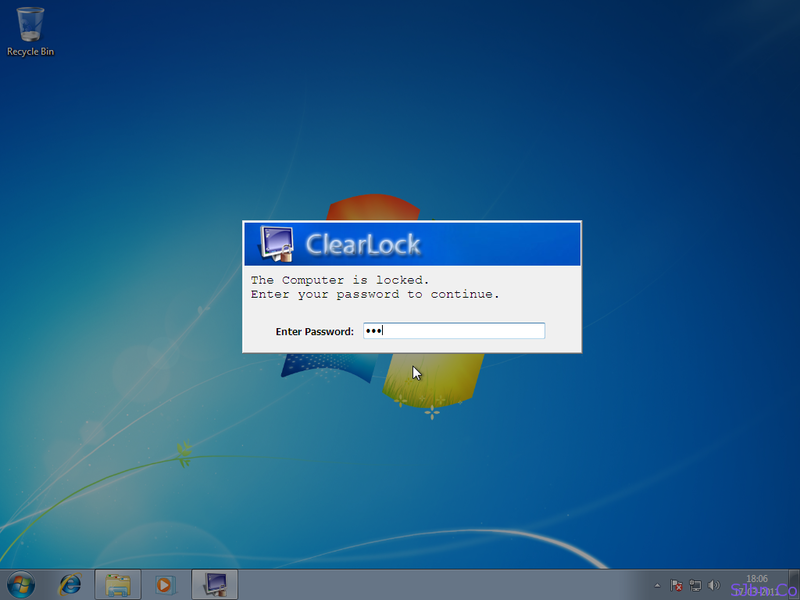 It comes as standalone executable, just run it, set your password and click the ClearLock icon whenever you want to lock your screen. To reset your password, simply delete the .ini file that was created in the same folder. You can also use it or presentation, watching moves, etc. After you lock your screen, for five minutes you will see a box which will ask you to enter password to unlock screen and after five minutes that box will get disappear. To bring back the box just move your mouse and it will come back. If anyone tries to unlock by giving incorrect password more than three time then for five minutes you will not able to unlock your screen. After you unlock your screen you will get notified how many times incorrect password has been entered (if any). 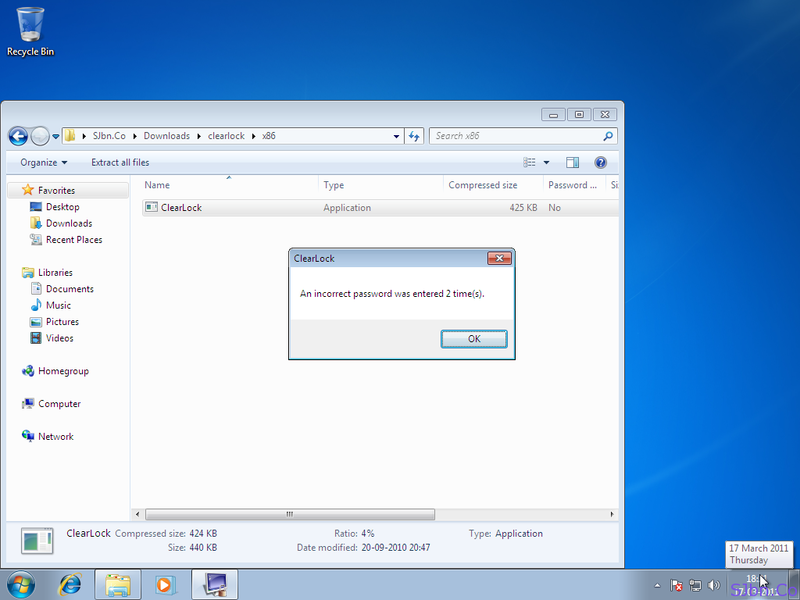 Truly a beautiful lock they made for windows, i too have reviewed in my personal technology blog.